Another CloudFest Conference is in the books for the cPanel Team! 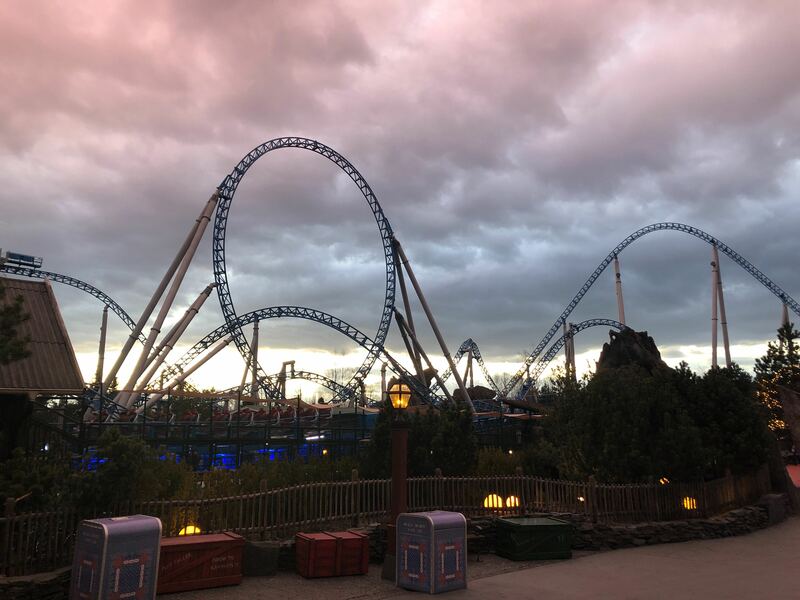 This year we attended the conference over four days in Europa Park right in the heart of Rust, Germany. As this was my first CloudFest (and the first time in Europe), and the trip and conference brought on a plethora of new experiences, sites, food, and people! The thousands of people in attendance represented many areas of the hosting and cloud storage industry. Starting at daybreak and stretching into the late evening hours, we worked hard and played hard. 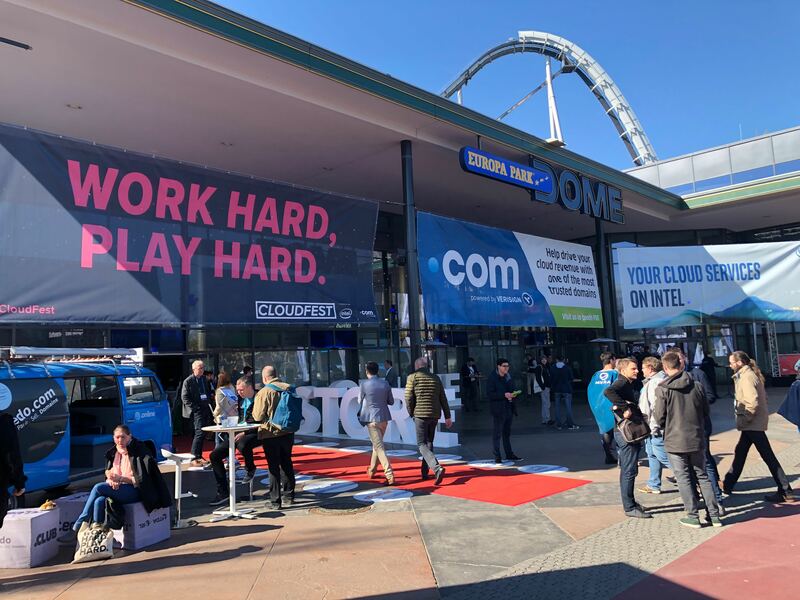 The idea of attending a three-day conference half the world away in the heart of one of Europe’s best theme parks sure does sound like a lot of fun. 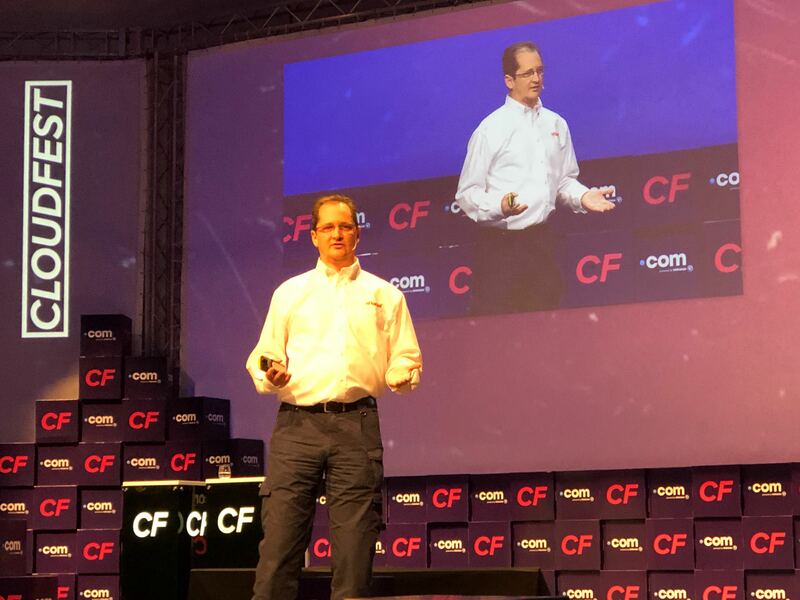 While that is true, attending CloudFest affords the cPanel team a unique opportunity- the chance to meet in person and talk with a large number of our European partners. We also met with companies looking to partner and better integrate with, as well as end users familiar with cPanel & WHM, and some folks who had never heard of us wanting to learn more! Several groups within cPanel were represented on this trip, including Product Development, Product Owners, Quality Assurance, Support, Training, User Experience, Account Managers, Marketing, and most importantly, Community! Attending a conference of this size gave us avenues to directly interact with people we prize having conversations with; people with feedback on how we can make cPanel & WHM the best possible experience for its users. 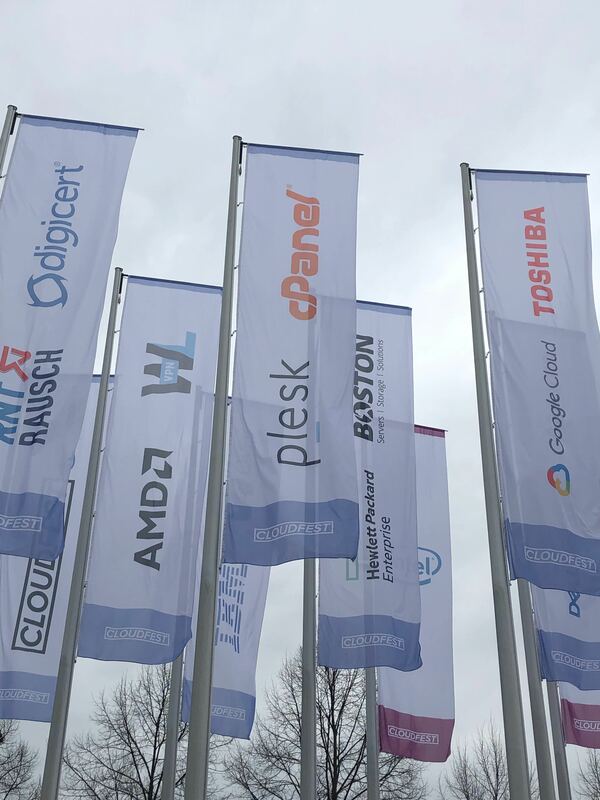 We certainly kept ourselves extremely busy at CloudFest 2019! Over 100 meetings were scheduled over the four days of the conference. The great thing about these meetings is interfacing directly with companies and groups that we may not get to in person regularly, because of either distance or availability. CloudFest is more than just about meeting new people though! Our VP of Product Development Ken Power delivered a talk on how to successfully partner with cPanel! VP of Product Development Ken Power delivering his keynote speech. Okay, we admit that CloudFest wasn’t all about the work. 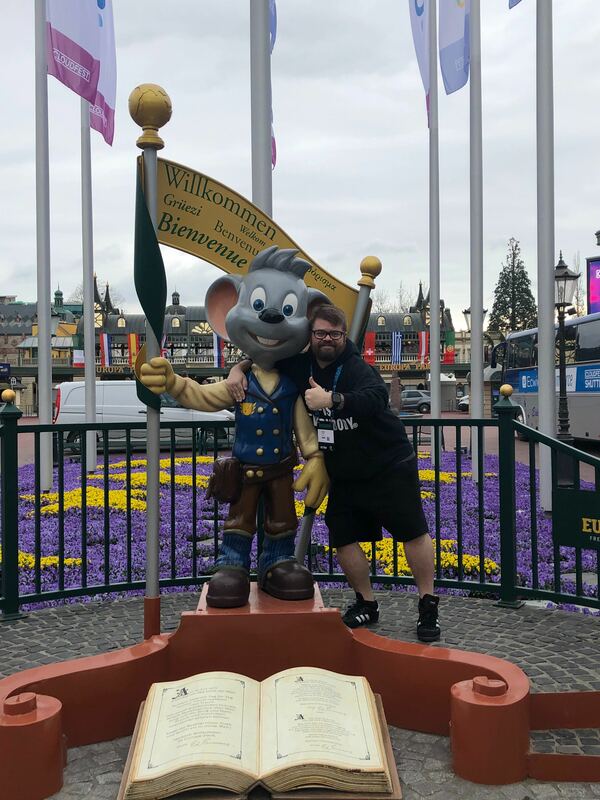 We did get to have quite a bit of fun while attending a conference that was housed in the second most popular theme park in Europe. What do all great theme parks have? You got it…. The Blue Flame, Powered by GAZPROM. In addition to the fantastic rollercoasters inside the park, the CloudFest evening events were a great way to meet up with friends, network with new friends, and cut loose with that night’s entertainment! Between karaoke nights (if you haven’t sung karaoke with cPanel, you’re missing out; occasionally celebrities show up! ), a huge concert held by the Lords of Uptime featuring Skid Row lead singer, Sebastian Bach, and DMC, half of the famous hip-hop duo, Run-DMC. Inside the Hotel El Andaluz, a dance party DJed by Hank Shocklee, producer for Public Enemy. As all good things must come to an end, so must CloudFest 2019. We enjoyed Germany and the conference and all of the people we were able to meet with. This leaves us now gearing up for our favorite conference to attend, the 2019 cPanel Conference. Keep a watch for more details on cPConf 2019, or join us to discuss more on Slack, Discord, or our Official cPanel subreddit!